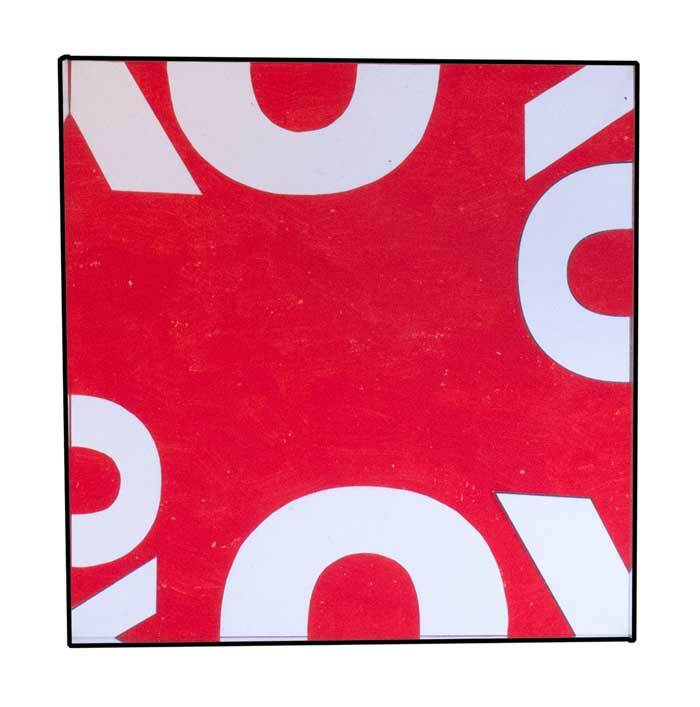 This is one of my prototypes of a mirror-based artwork that I’m developing. The work consists of four mirrors forming the vertical walls of a cube, with the mirrored surfaces facing inwards. Each mirror reflects the mirror opposite it, including the reflections in that mirror, so the reflections build up to form infinite reflections (or, more accurately, multiple reflections, as the reflections gradually fade due to light loss). As well as that, where two mirrors meet in the cube’s corners each mirror reflects the other corner mirror, creating a different set of multiple reflections. 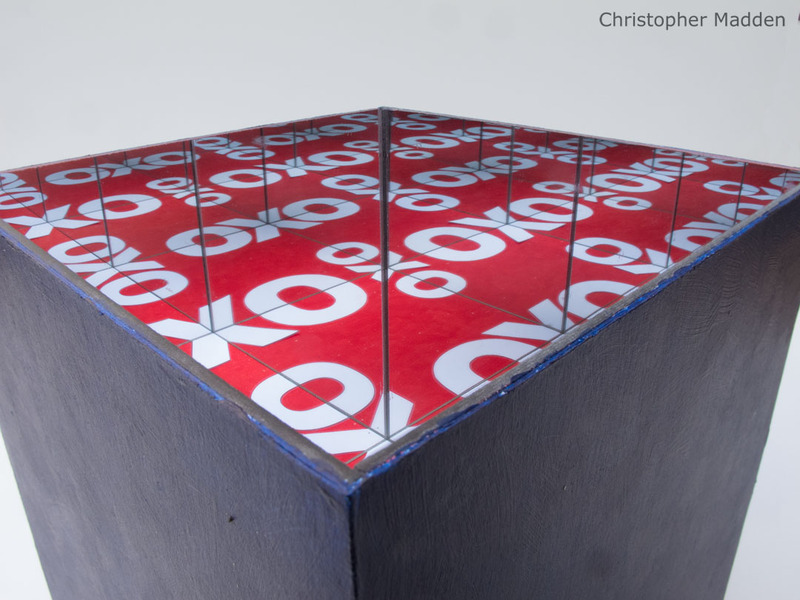 In each corner of the cube the semicircle and angled line in that corner is reflected in the mirrors to appear to form the word “OXO”. 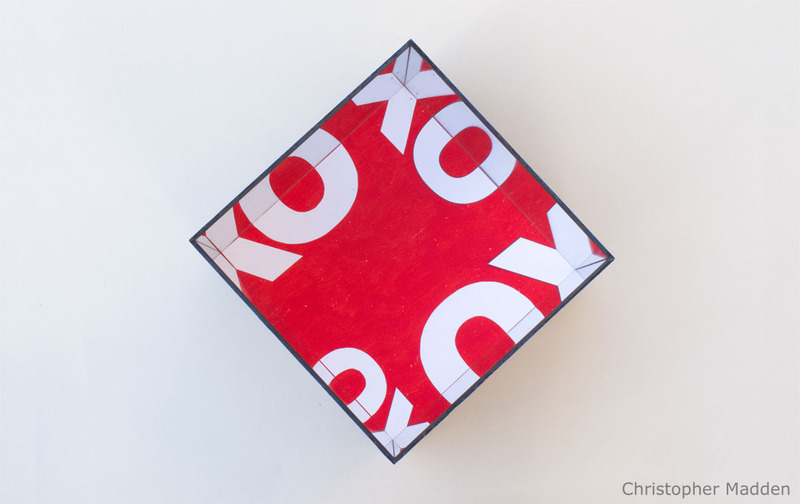 Each of these words “OXO” is then reflected infinite times in the other mirrors in the cube. 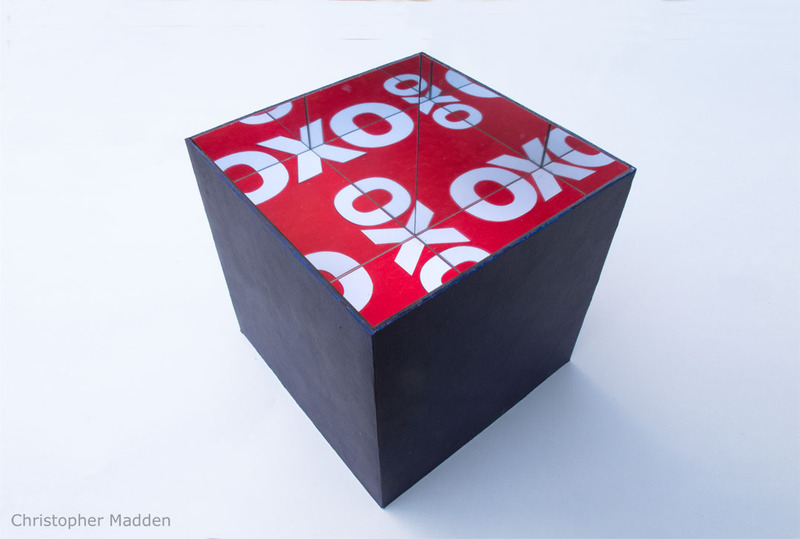 This artwork is titled “OXO Cube”, as it’s just too good a title to ignore. A low viewpoint looking into the mirror cube, as below, shows the infinity mirror effect at its best. 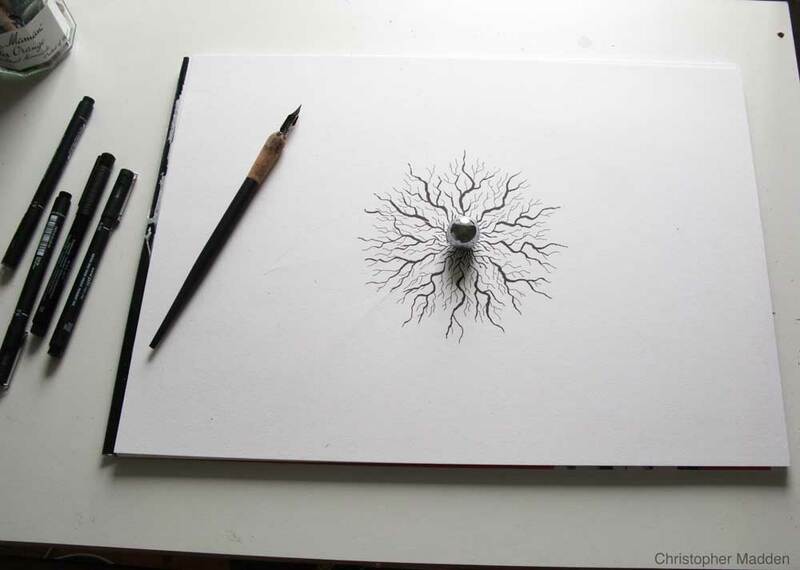 A steel ball placed on a sketch pad in the centre of a radiating vein-like pattern. The reflections in the sphere give the effect of an eye-like form. 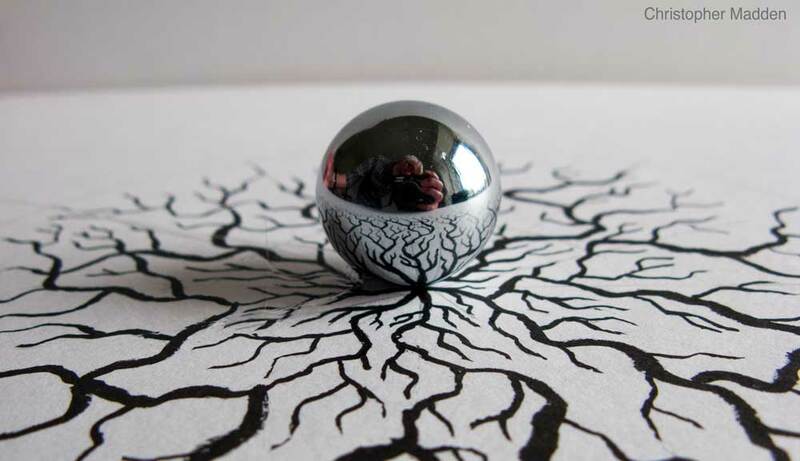 The work can be thought of as a study for a floor-based sculpture with a large steel sphere placed on a floor onto which the radiating vein-like lines are applied. It works very well at a small scale however, with the steel ball approximately the same size as a human eye. The intimate size of the small version makes this version quite unsettling, while a larger version would possibly be less unsettling but more visually intriguing (because the reflections in the ball wouldn’t invoke so precisely a human eye). 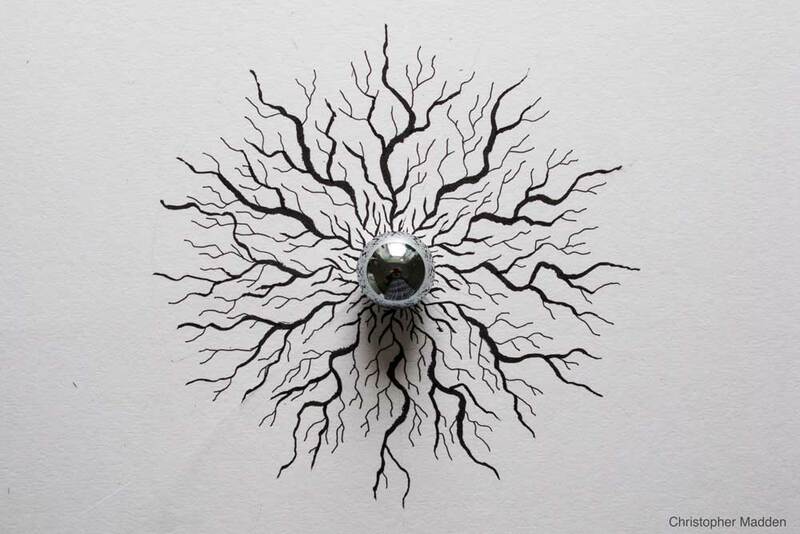 The initial concept came to me while working on a different project involving a steel ball (but not reflections) on a sheet of paper. I noticed that the reflection of the white paper and the room on the ball gave the impression of the white of an eye and the iris of the eye. 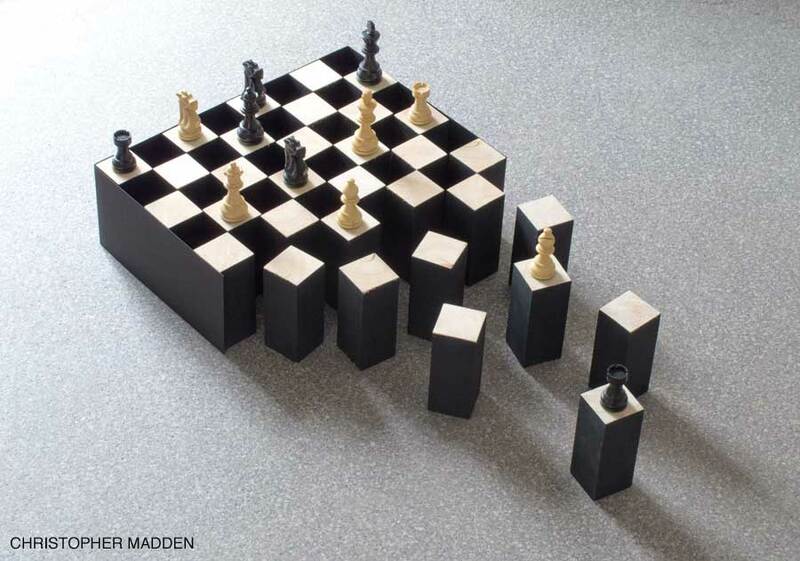 Chess set, disintegrating board with optical illusion (there are no black squares). In this work I’ve created a chess set out of short blocks of wood. The first thing that the viewer notices when looking at the work is that the chess board is fragmenting or disintegrating. Less obvious however is that the chess board is composed only of the white squares. These white squares are the tops of the blocks of wood, the sides of which are painted black. It is the black sides of the blocks that give the impression of the black squares of the chess board. 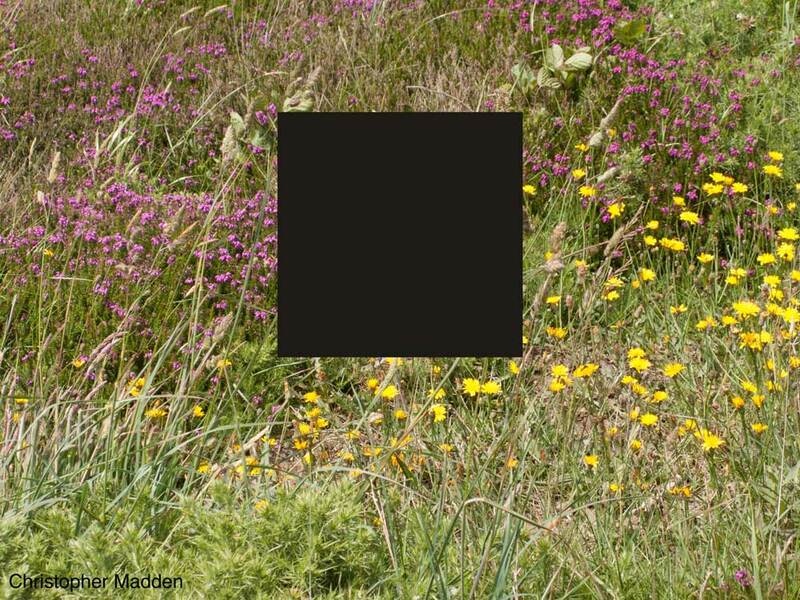 The seeming existence of the black squares is a visual illusion, as they are nothing more than black holes. See the photograph below. 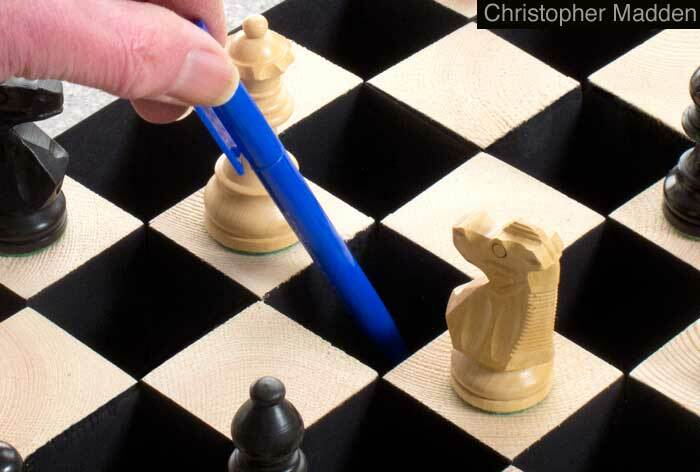 The illusion is as true with the actual, three dimensional chess set as it is with these photographs. Part of the impact of the piece is in the way that the viewer only notices the ‘black holes’ of the missing black squares on the chess board after already being intrigued by the disintegrating nature of the board. The piece has political overtones, in that it is partly about the disintegration of power (as symbolised by the combative nature of the game of chess) and the disintegration of order (as symbolised by the rigid grid of the chess board). It is also about more existentialist themes such as dangers that lurk in the world (the black holes as traps or stumbling blocks) and the nature of physical reality (with the holes representing the unknown parts of the physical universe (such as the actual black holes that result from collapsed stars). It’s also just a nice visual illusion, and thus contains humor as well as its more weighty themes. The chess board contains no black squares – they are an illusion. 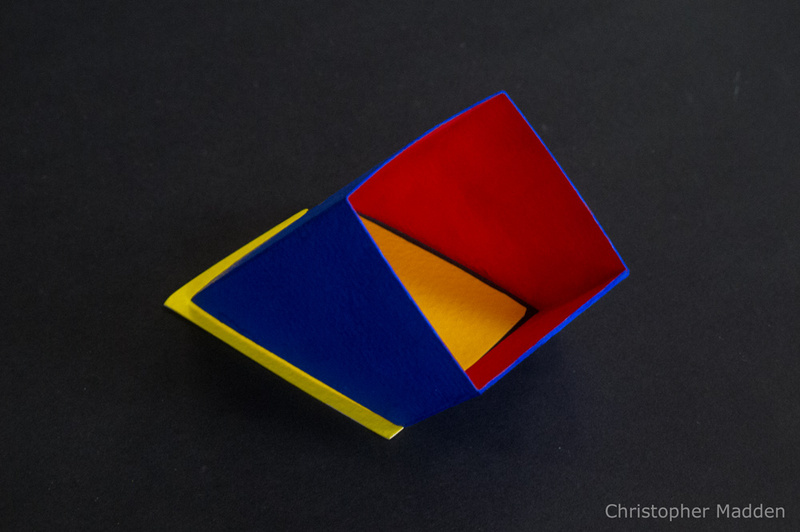 A small paper sculpture in primary colours created from folded and coloured watercolour paper. 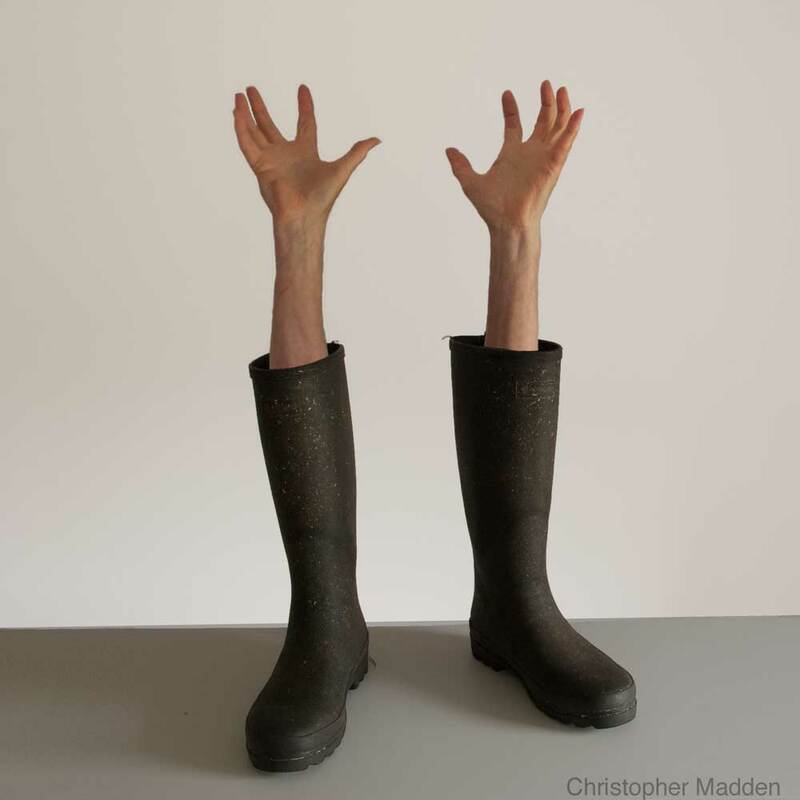 A photomontage showing arms emerging from the tops of a pair of wellington boots. The arms are sinking down into the boots, as though the footware is devouring the owner of the arms. The theme of predatory footwear is one that I’ve explored several times over the past few decades. 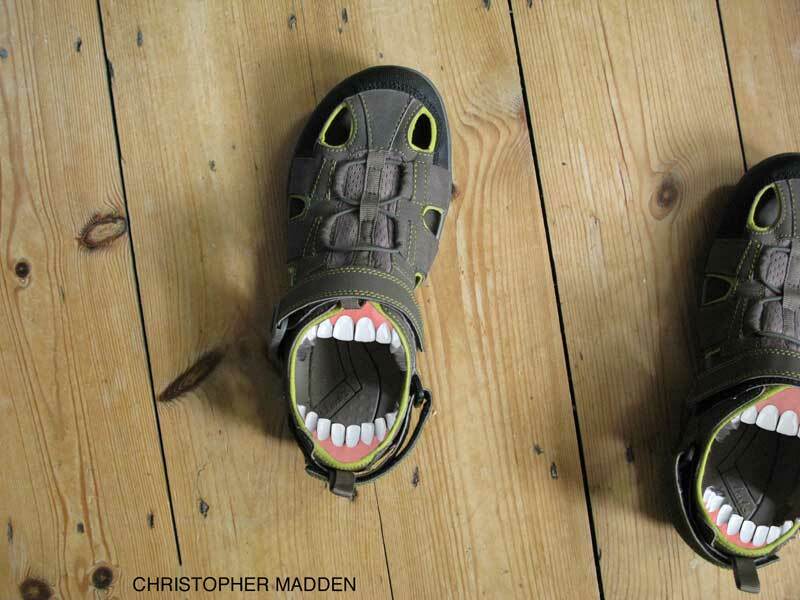 Another example can be seen here – shoes with teeth. 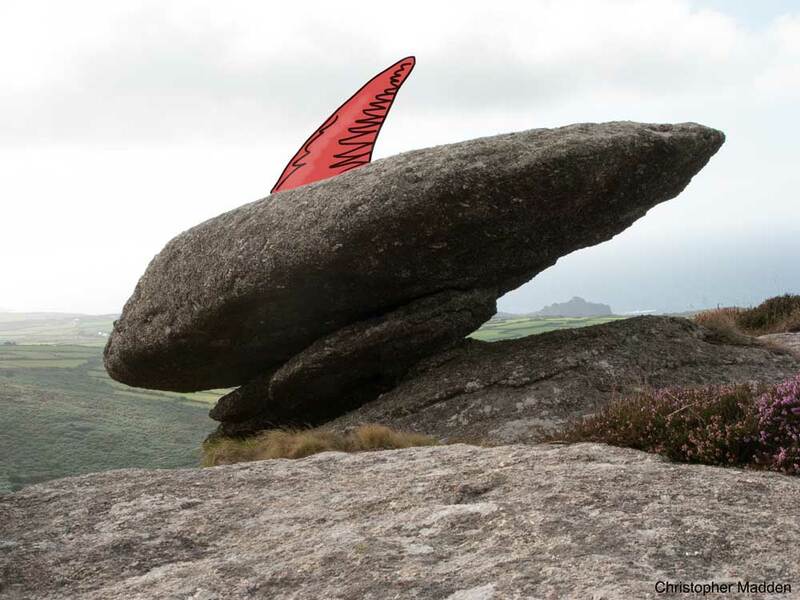 This photomontage was created while I was exploring various options for creating a sculpture that included wellington boots. I feel that these boots have a strong sculptural presence, and I’m quite surprised how under-represented they are in the field of sculpture. The image, which I think probably falls into the category of contemporary surrealism, is meant to be both humorous and unsettling. 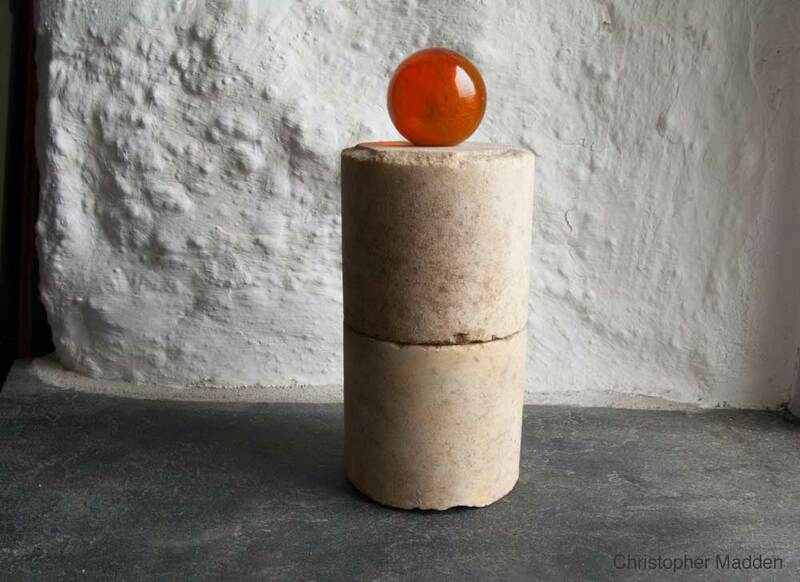 An abstract sculpture that uses a translucent resin sphere on the top of a marble column to capture the effects of the light. 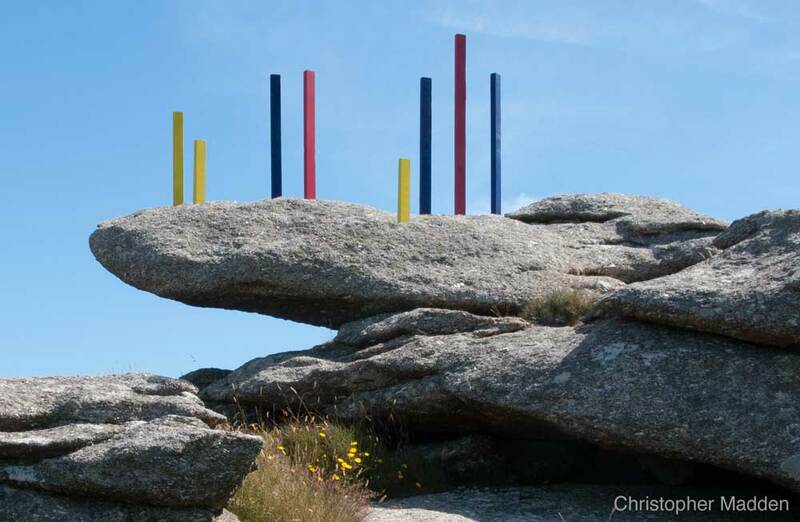 In the photograph the sculpture is positioned on a slate base against a rough painted granite wall to give the work a robust organic feel. Last Cigarette – a surreal found object sculpture. A cobbler’s last with a cigarette inserted into the circular hole in the last that is designed to accommodate a handle. The last is mounted on a lamp stand. 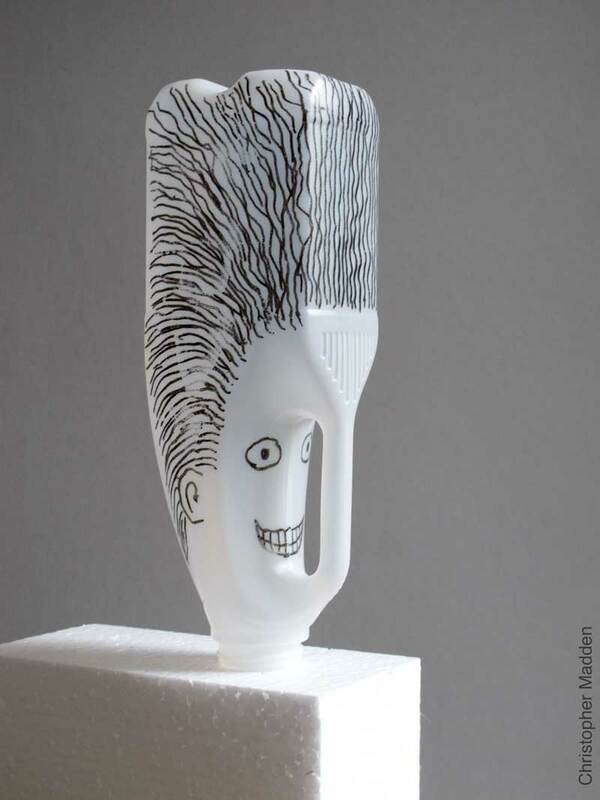 The sculpture utilises the human tendency to pareidolia, the interpretation of shapes as human faces, to create a surreal head. 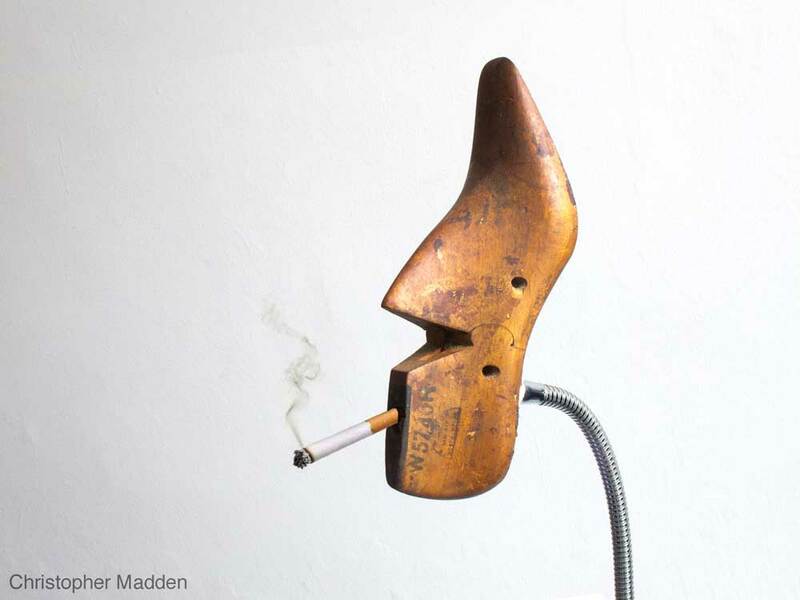 Similarly, the sculpture’s title, Last Cigarette, utilises the human tendency to reinterpret words to create puns – in this case the word ‘last’ referring to the wooden cobbler’s last, meaning that the cigarette is the last’s cigarette. 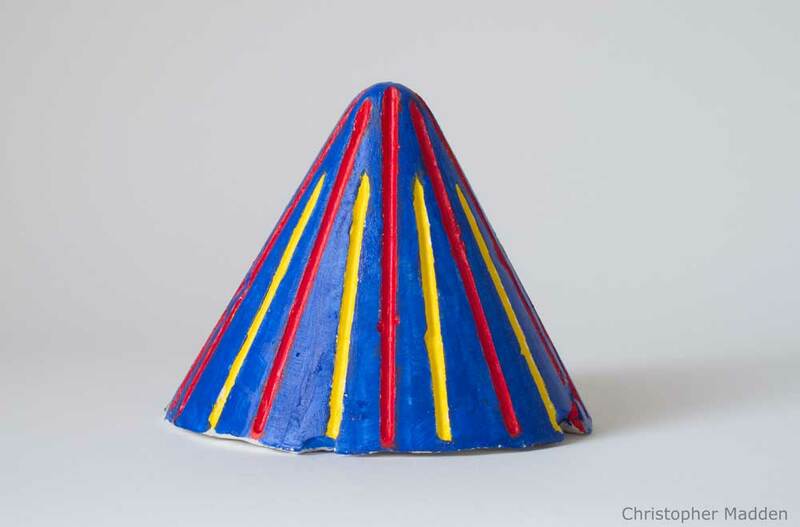 A small sculpture created by casting the interior of a coffee filter cone. 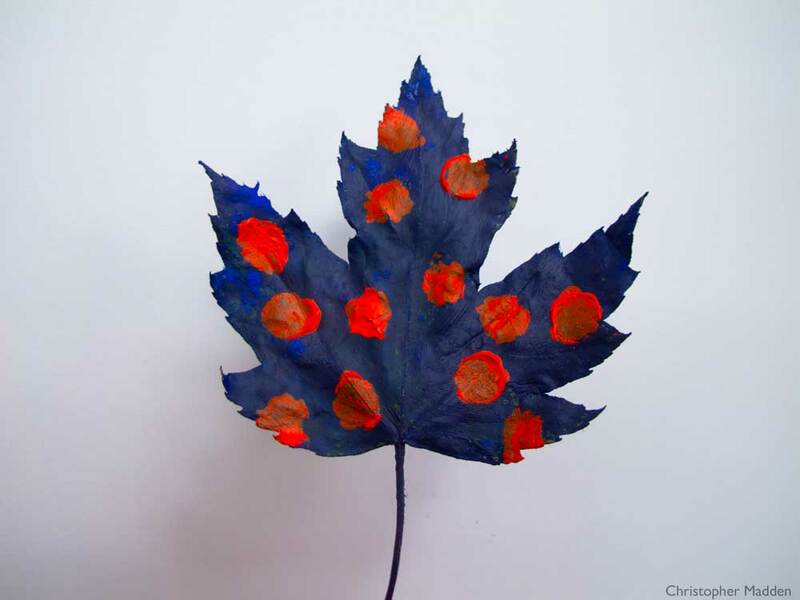 The work is deliberately created in a slightly crude style (notice the imperfections in the base). It’s hard to tell how big this sculpture is from this photograph. 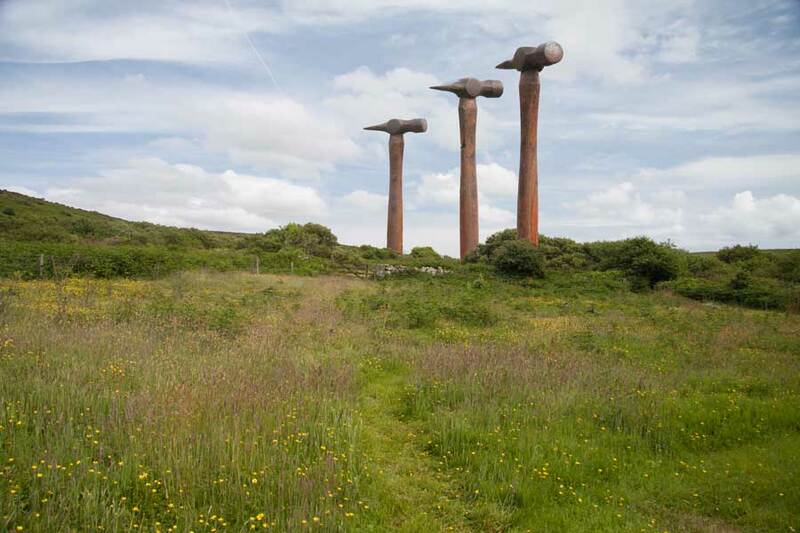 The square ends of the two blocks from which the sculpture is composed could maybe be a metre across. In fact they are closer to five centimetres, as the piece is created from lengths of two by two wood (two inches by two inches). The work has a strange relationship with scale. 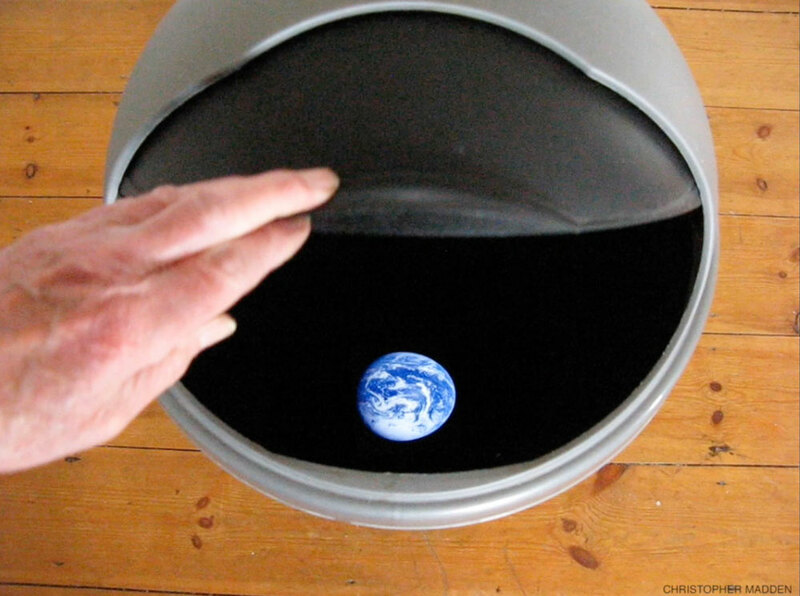 It’s small, but it could be big. 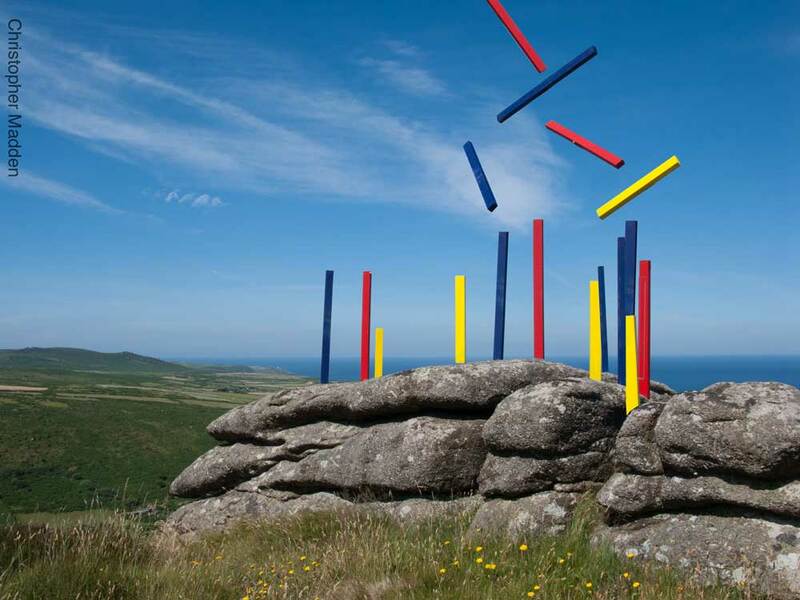 If there was a zoom facility for three dimensional objects that worked in a similar way to that on computer and phone screens, where you simply touch the surface and drag in or out to change the size, this sculpture would beg to be dragged just to see how it worked at different scales. At it’s actual size this sculpture looks as though it’s happy at the size that it is, while somehow containing the spirit of a larger sculpture within itself. In some ways it gives the impression of being a large object that is somehow being perceived as being small, as though viewed through the wrong end of a telescope . As I mentioned, this work is composed of two pieces of two by two wood. This is a common size of wood sold in long lengths in timber yards for use in general construction projects. 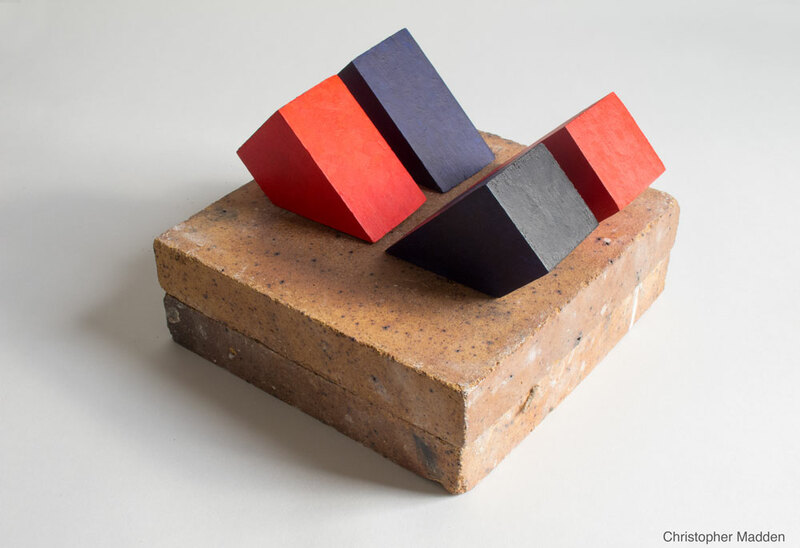 This sculpture came about when I picked up two short offcuts of wood from a different project, that each had been cut at 45 degrees at one end, and placed them on a work surface on their angled faces. They instantly acquired a dynamic and vital presence. Due to the manner in which they rested at an angle they looked as though they were embedded in the surface with part of their form submerged. 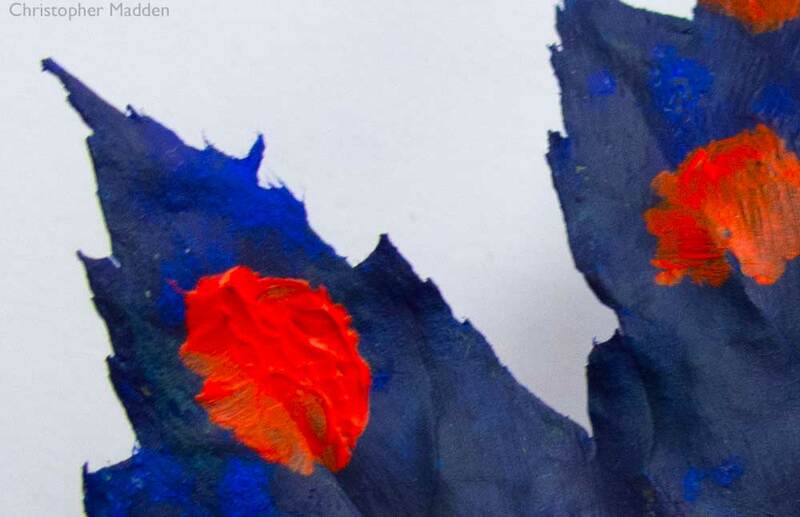 One of the things I like about this work is that it is made from extremely simple components – two pieces of wood from a builders’ merchants and a bit of acrylic paint. Yet it doesn’t look like a work created in the spirit of ‘detritus art’ in which the work is deliberately engineered to emphasise its origins in the flotsam and jetsam of contemporary culture (Artists such as Philidda Barlow, whose work I like greatly, and Abraham Cruzvillegas come to mind as good exponents of this genre). 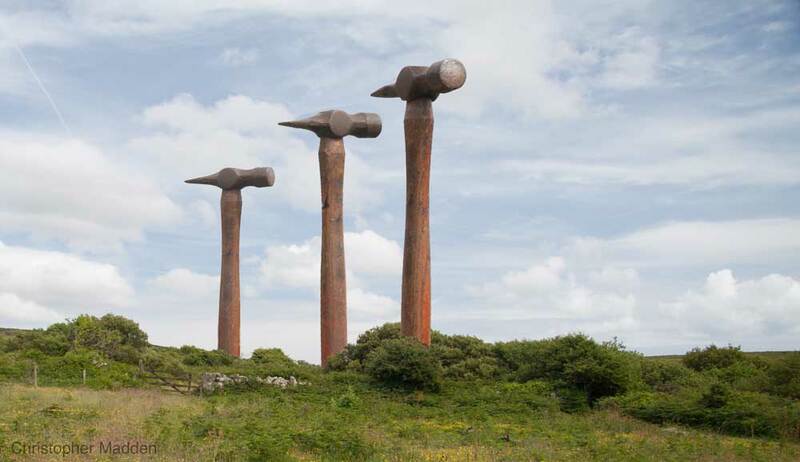 In fact this sculpture could almost be mistaken for a tiny example of the ostentatiously highly engineered work that are quite common in modernist sculpture. 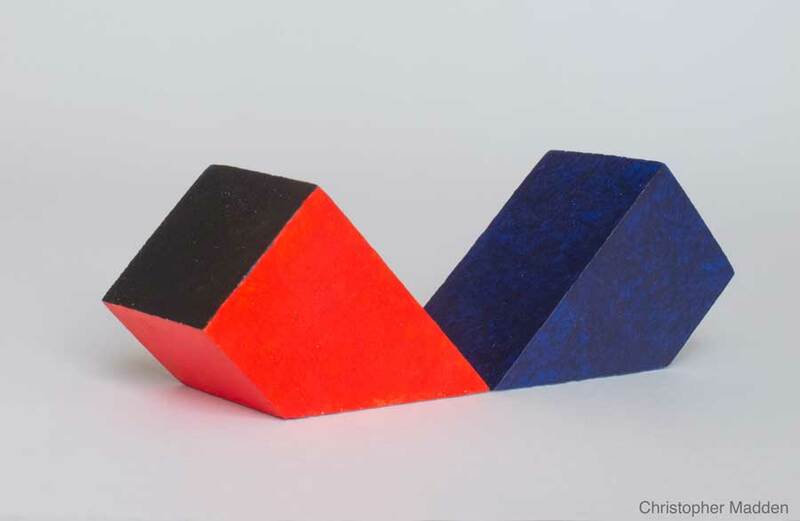 A sculpture composed of two identically shaped, differently coloured elements. 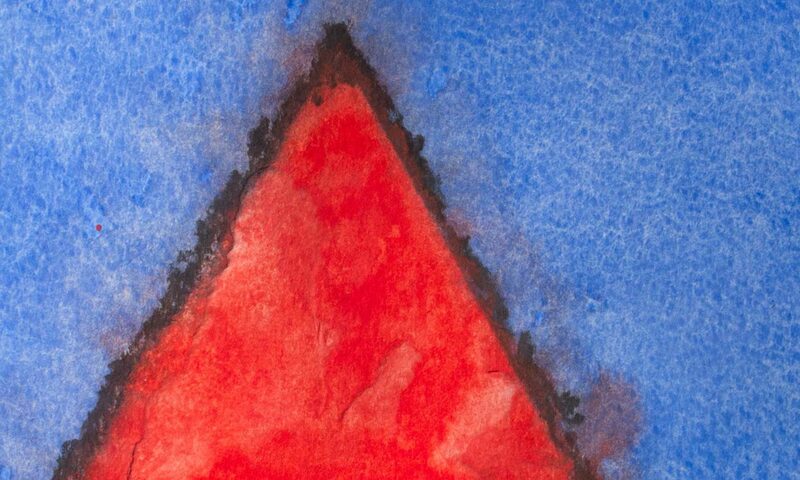 The two elements are set at an angle to the vertical to give the impression that they may be partly concealed within the base on which they stand. The elements of this sculpture are short lengths of 2×2 wood. 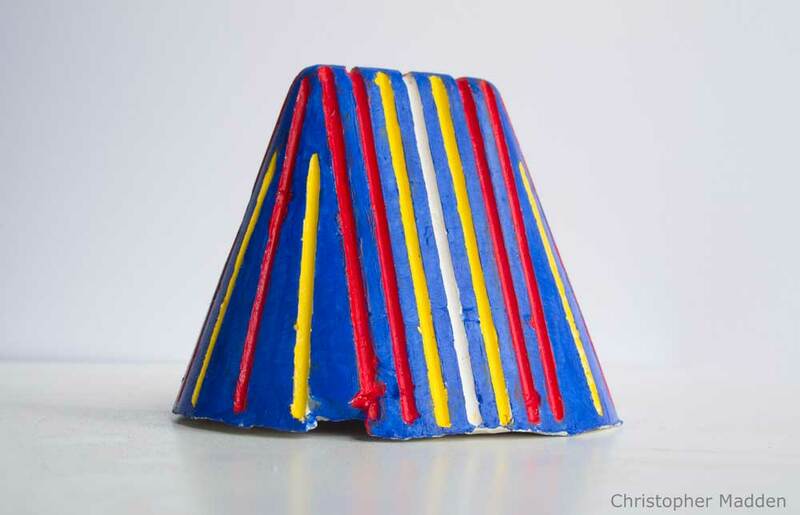 It is deliberately made from mundane material at a small scale which gives the work a surprising intimacy. A colored rod reflected in a mirror, positioned so that the reflection of the rod coincides with another rod of a different color on the other side of the mirror, creating an ambiguous optical effect. 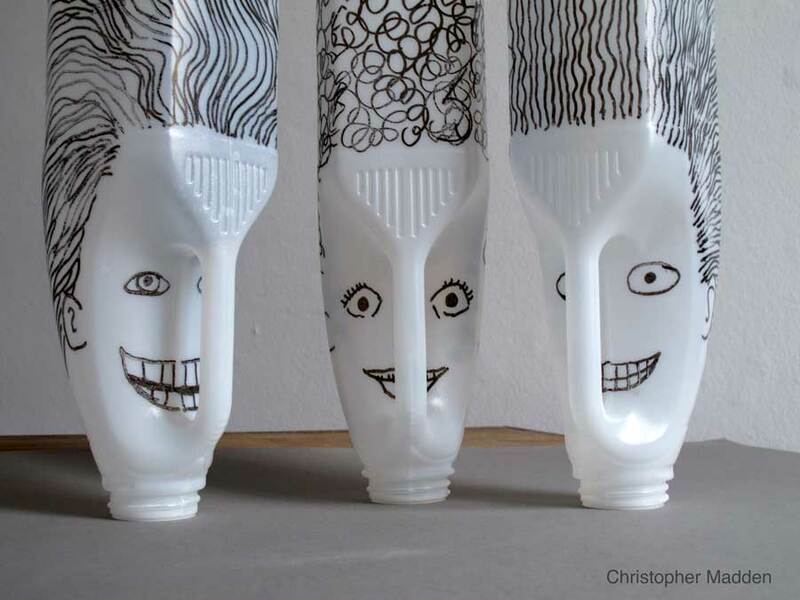 A study of ambiguous visual stimuli to question the nature of perception and the interpretation of reality. A study for a surreal work composed of a pair of shoes with mouths and teeth. The teeth in this study were added digitally. The shoes were chosen partly because the holes at the toe end give the impression of eyes. An unsettling aspect of this concept is that it is normal for a person to put their feet into shoes – however these particular shoes look as though they would devour anything that was placed in their ‘mouths’. They are almost lying in wait for feet to be placed inside them. This work may be interpreted as being a metaphor for the manner in which consumerism devours people (especially clothing and fashion consumerism).